This is an exciting new artist for country music. 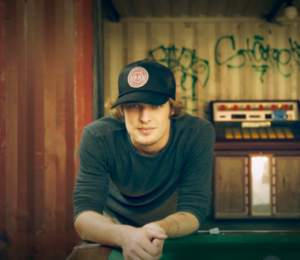 Tucker Beathard has said that he really wants to make music that means something to him and to others. It seems like he really speaks from somewhere deep inside with his songs. I don’t like throwing around the word outlaw when it comes to country music. There have been a number of artists over the years that have used that word, but that maybe didn’t really fit the label. But I think Tucker Beathard might have the right attitude for that label. He brings a brashness to country music. He brings a rock influence that has a fresh sound even through rock has kind of had a place in country for some time. Let’s check out the new single and see what we think. The title on this one was risky. There have been similar titles in country music before and we pretty much know what’s coming with the song. But I think Tucker pulls it off because it’s believable. The song is about a guy that’s made mistakes in life. He’s let down people in his life, but he’s trying to face those mistakes and those demons and make changes. Will that happen? It’s hard to ever know if people can really change that much. This one has the same attitude of a song like Momma Tried from Merle Haggard. Time will tell if it hits with country fans the way that song has over the years. But I think Tucker has a really good shot at having another hit with this one. I think he’s really connecting with the young generation of country fans and that’s a really good thing. Tucker Beathard is definitely a fresh alternative in country music. He has all the conditions to be such a great artist. Do you think that bringing the rock influence on country music is his main strategy?